CASPIAN SEA DEAL was concluded in the Kazakh city of Aktaun recently. 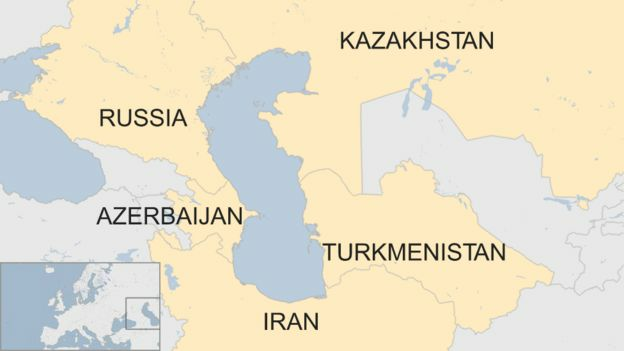 Leaders of the five states bordering the resource-rich Caspian Sea signed a landmark deal on its legal status. Countries involved: Azerbaijan, Iran, Kazakhstan, Russia and Turkmenistan. It is an agreement on the status of the inland sea, which has been disputed since the collapse of the Soviet Union. It will ease regional tensions and potentially facilitating lucrative oil and gas projects. The convention keeps most of the sea in shared use but divides up the seabed and underground resources.